Book Adventures: (YA) Shayla Witherwood Blog Tour & GIVEAWAY! 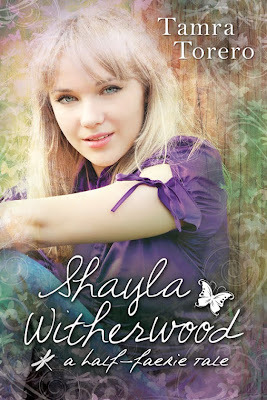 (YA) Shayla Witherwood Blog Tour & GIVEAWAY! Today's feature is another good, soon-to-be-published book through Cedar Fort's Sweet Water imprint: Shayla Witherwood: A Half-faerie Tale by Tamra Torero. Under the last name of Norton, Tamra is also the author of several other books for youth, Make me a Memory, Make me a Home, and Comfortable in my Own Genes, as well as the Bearubs series for little ones. Tamra currently lives in Texas and is the mother of seven. 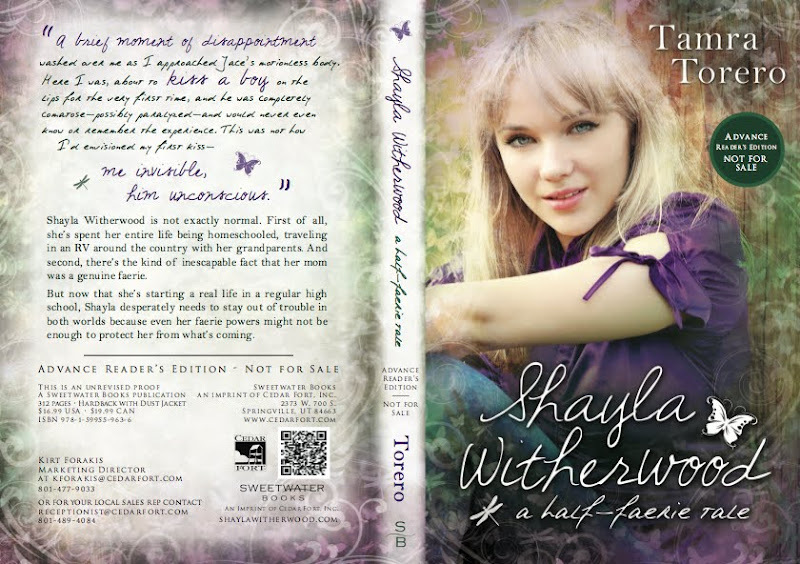 For a chance to win an eCopy of Shayla Witherwood: A Half-Faerie Tale, please enter below. To visit the other blogs on the tour, please click the banner above. Read a sample of Shayla Witherwood: A Half-Faerie Tale here! This is a light, enjoyable read suitable for teens and middle-grade readers alike. Invisibility, shape-shifting, special kisses, and seaweed milkshakes. The setting is small town, high school, and the characters are quirky (go, Josi!) and likeable (except for when they're not supposed to be. Blehhh, Bree, I'm sticking my tongue out at you). There was also a sufficient amount of mystery that kept me curious as I read. "I know something's going to happen and someone or a few someone's are not what/who they seem, but what? and who? and who is what?" The ending definitely has sequel potential and I am interested to know what happens with each of the characters! Shayla Witherwood: A Half-Faerie Tale is a sweet, paranormal romance, that would be perfect for a summer read. Check out the full cover below. I'm really digging the purples and handwriting font.